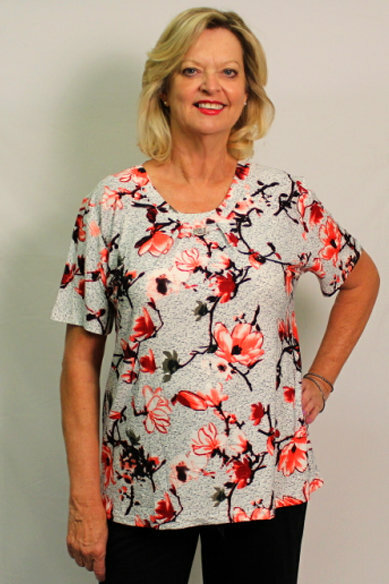 This comfortable and casual scoop neck top meets the needs of any woman. 100% polyester or cotton/polyester blend. Assorted prints and colors.